Judee, Judee, Judee . . . But we begin with David. David Geffen owns half of the entertainment industry (he started Geffen Records in 1980 and co-founded Dreamworks in 1994 — his estimated worth is $5.5 billion), but he got his bank balance rolling back in 1970 when he formed Asylum Records. By shrewdly pitching the company as a shelter from the big, bad major labels, Geffen was able to sign the top crop of young talent in LA, primarily in Laurel Canyon where the best of the burgeoning singer-songwriter movement resided. Asylum made millions in the early 70s with Jackson Browne, The Eagles, Joni Mitchell, and Linda Ronstadt. But the first person Geffen signed to the label made no money at all, falling into the classic abyss of being critically adored and commercially ignored. That person was Judee Sill. Judee Sill did not have an easy life. When she was a child, her father and brother died within weeks of each other, and her alcoholic mom then married an alcoholic new dad. Judee ended up in reform school for check forging and by the late 60s had developed a seriously expensive heroin habit. After the fuzz busted her for possession, she managed to kick the junk while serving out her jail sentence. When she got out she turned her attention fully to music (inspired–like everyone else–by Pythagoras, Bach and Ray Charles) and fell in with the Laurel Canyon crowd of hip, young songwriters. After her first two albums didn’t sell and her third was abandoned, Sill’s activities aren’t entirely clear. It’s known with certainty, however, that she returned to drugs, dying of an overdose of cocaine and codeine in 1979. 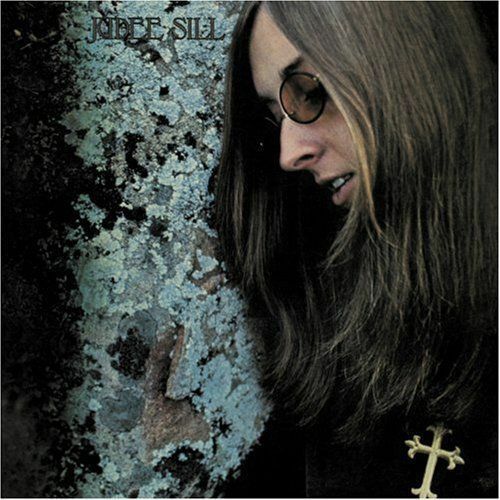 It’s a testament to her lifestyle, and to how far off the map she fell, that Graham Nash—who also lived in Laurel Canyon, and produced “Jesus Was A Cross Maker”—was rather surprised when informed of Sill’s death, since he thought she had died in 1974. 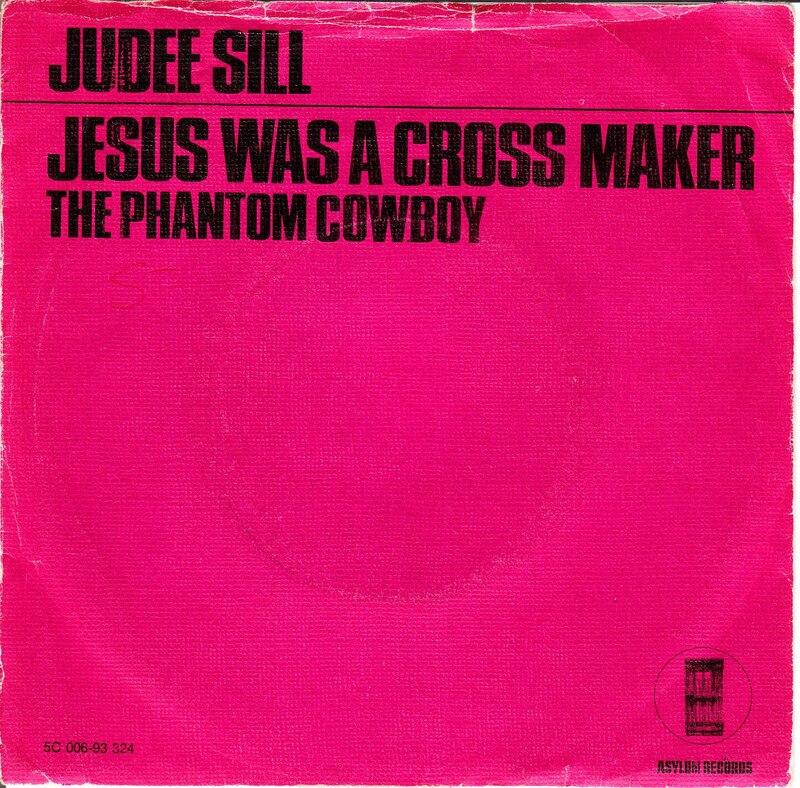 “Jesus Was A Cross Maker” — written about former boyfriend, songwriter JD Souther — is the closest thing Judee Sill had to a hit. It didn’t make the charts, but it received a fair amount of radio play, and was covered by Mama Cass, Linda Ronstadt, and by Nash’s former band, The Hollies (they didn’t have a hit with the song, either, except in New Zealand, where it went Top 20). So say a little prayer for those who seek asylum for the soul. May they find it sooner rather than later. And may they never have need of it again. I saw Judee Sill playing support to Roy Harper when her first album was released. She was great, unique and how her albums didn’t sell is one of music’s mysteries. Still listen to her songs and I’m enchanted by the melodies, and lyrical inventiveness of this troubled soul.